How are you praying for life? Leave a comment. Four U.S. politicians, including two Democrats, will speak at the 2019 March for Life, joining an estimated 100,000 Americans who will gather on the National Mall in Washington, D.C. on Friday, January 18 to peacefully protest legal abortion. In a bipartisan show of support for the pro-life movement, U.S. Rep. Dan Lipinski (D-Ill.) and State Rep. Katrina Jackson (D-La. ), will join U.S. Sen. Steve Daines (R-Mont.) and Rep. Chris Smith (R-N.J.) onstage at the national march. Pro-life politicians are rare in the Democratic Party, which generally maintains that a woman’s “right” to have a “safe” and legal abortion is non-negotiable, and ostracizes those who disagree. 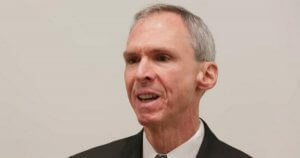 Rep. Lipinski, who has attended the March for Life in previous years, skipped last year’s national march during a tough primary in which he ran against a pro-choice challenger and faced attacks from pro-abortion groups such as NARAL Pro-Choice America, Planned Parenthood Action Fund and EMILY’s List. Despite the pressure, Rep. Lipinski still attended last year’s Chicago March for Life. The theme of this year’s March for Life is “Unique from Day One: Pro-life Is Pro-science,” and will emphasize the ways in which modern science supports the pro-life movement…. Increase of those who stand for the unborn that they will be born, in Jesus’ name. Thank You Father for this increase!! Thank You!!! You are Ruler Supreme; King of Kings and Lord of Lords. Praise the Lord in this day of partisanship, it is refreshing to see people across aisle that believe in the sanctity of. May they keep fighting for unborn who are vulnerable and can’t speak for themselves! We are one nation under God who believes that life is precious. at your earliest convenience O Holy One. Praise you Lord Jesus! Lord, i pray for a revival in DC, i pray that the waring Angels would put a hedge of protection around the marchers. I pray for good weather. I thank you that the “Silent no More” women were marching with us last year, and hope they come this year, and that they would know that they may know peace and joy and cleansing and salvation through the blood of our precious Savior. May each person you are calling to this event come, may each person you are calling to be there in Spirit pray, and may your Holy Spirit, Lord, fall on DC. We look to the day when the killing of the unborn is again rightly called murder. In Jesus name, Amen. Thank You for a country that allows peaceful protests and marches for choosing life. Thank You for the many Americans praying today. I join with them and ask humbly for Your unmerited forgiveness for the shedding of innocent blood on American soil. As the blood from 60 million abortions cries out to You, we cry out to You for godly sorrow across our nation that will lead to repentance. We ask for conviction and repentance upon the American church. You know our track record in killing babies along with the unbelievers. We ask that the fear of God would return to this land. Father God, end abortion and send revival to our land. We repent of our sins and the sins of our nation. Forgive us and cleanse us from all of our sins. Create in us a new heart. Accomplish Your will in and through Your people. Fill us with Your Holy Spirit. May Your will be done in earth as it is in heaven. We thank You and praise You, and give You all of the glory. In Jesus Name we pray, amen and amen. II Chronicles 7:14. Father, I appeal to heaven for mercy and for repentant hearts in this nation. Lift the veil off the eyes of America’s leafership. Let us fully understand the magnitude of our sins and fall before you in tearful, honest godly repentance. Restore us to a life honoring culture. Restore us to a biblical honoring culture. Forgive our sins and heal our land. In Jesus name amen. As Daniel prayed do we pray Lord God, listen to the prayers of Your servants and pleas for mercy. Hear Lord and heal. Hear Lord and forgive. Restore the heart of this government to the fear of our God, open the ears of those who are able to hear, bring them to repentance. Close the mouth of the wicked who defile Your name and persecute the inocent. Open the eyes of the foolish who follow vain ambitions to see Your glory and righteous ways. Lord hear, Lord forgive, Lord heal. In the name of our Lord Jesus do we pray. Father God we pray for America that the people eyes and heart are open to your truth, that every life matter!!! Lord we thank you for opening eyes, hearts and minds to the atrocities of abortion, which is murder! Restore a Culture of Life back into our communities and nations, in Jesus name! Father God giver of life, thank you for those you have called to be on the front line speaking for lives you created. I repent on behalf of our nation’s hard heart to abort Your creation and I ask Your forgiveness. I am asking You to sweep through our nation with an awakening to see how sinful we are and how Holy You are. You have provided cleansing and forgiveness of our sin through Your Son Jesus Christ who for the joy set before him endured the shame of the cross and shed His own blood for all who would believe on Him. Thank You for pulling the veil of deception, error, and complacency off of Your Nation, Your people, Your Church. As I watched our daughter-in-law hold her first child, our beautiful new Grandson, it occurred to me that up to the time of his birth he could have been legitimately killed if his mother had “chosen. Merciful Father let Your Light pierce the darkness. The Light cannot be overcome!